Happy New Year! Wow! My first post of 2013 and I'm talking about 2012. Truth is, 2012 has been a great year for me, polish-wise. So why not celebrate this year a little longer with some favorites? Similar to last year's favorites, these are not necessarily polishes that came out in 2012. Some of them have, but some of them are older. They were just first swatched and loved by me in 2012. This time it was really hard to narrow it down to just 10, and it was impossible for me to rank them so I put them in chronological order. Don't forget that clicking on the picture will take you to the individual post. Enjoy! A long time lemming of mine that I payed a little more for, but it was so worth it. The beauty of this color is unbelievable and although the formula is not the best, it still remains my favorite mint. Is it grey? Is it purple? Is it blue? Nobody can really tell. The greatness of this polish lies in the fact that it looks totally different depending on the light. It's elegant and classy, and it goes with everything. It's also a good base for nail art. Fantasy Fire has probably made it to everyone's top this year. It produced a craze because it only came out in the UK at first, and then in a few other countries. Even to this day, I don't think nail enthusiasts from the USA can get it locally. So naturally everyone wants it. And who can blame them? Here you can see it over Maybelline Colorama 104, a dark purple. But the possibilities are endless with this one. This one is probably my most used polish of 2012. It's beautiful by itself, but mostly it's an excellent canvas for nail art. White polishes are usually a pain to apply. This one, however, is like a dream. A dream of ice and snow! I had to include a bright summer polish in my roundup, because they are great. This China Glaze beauty is one of the brightest and most obnoxious polishes I own, and that's why I love it so much. You know how much I love blue, and I chose this one over many others that were good candidates. I think that really proves that this is a must-have! A year ago, I would have never thought that I would choose a gold polish as one of my favorites. Golds were out of the question for me. 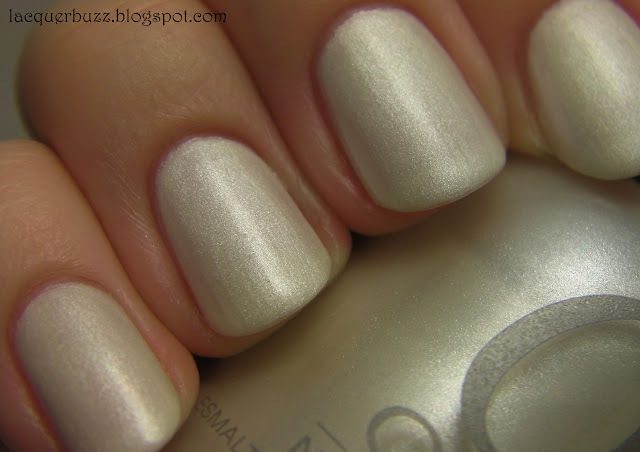 But then China Glaze did it again when they came out with a gold that would suit my pale rosy skin tone. Thank you again, favorite polish brand of mine! I have swatched a bunch of a-england polishes this year and I love them all. It's funny that I chose this really simple one over the others. But truth is, the simplicity of this translates to real beauty. It's honestly, the perfect blue-toned dark purple creme. It doesn't need any shimmer or holo. It's perfect as it is. My first true linear holo! Color Club made it big this year by launching a line of affordable linear holo polishes that apply like a dream. Of course this also made the price of the other CC polishes to skyrocket, but that's a different story. I cheated a bit here because I chose a whole collection instead of just one polish. But the truth is, they are all very very awesome, and just because I have a soft spot for blue, doesn't mean I don't like them all equally. The one in the picture is called Disco Inferno and I wore it for Christmas. There are still a few from this collection that I didn't show you yet, so stay tuned in 2013! Finally, my dream, my perfect blue. There are honestly no words to describe this beauty, You really need it! Everyone needs it! It's perfect! I also have some honorable mentions. These didn't make it in the top 10, but they were very very close (a top 20, if you will). They are: a-england Tristam, Essie Navigate Her, China Glaze Aquadelic, Illamasqua Jo'Mina, Flormar 49, a-england Avalon, China Glaze Man Hunt, OPI Here Today...Aragon Tomorrow, Orly Rage, Flormar U08 and Essie Stroke of Brilliance. Thank you for being by my side in 2012! I can't wait to see what 2013 will bring in the nail polish world! Love your choices!!! Happy New Year!!! Great picks! I too came 'back' to yellow gold this yr when I had not been wearing it in polish or fashion accessories/ jewelry for quite some time now (well on occasion I got out a fav yellow or rose gold ring). I am nuts for a # of gold polishes this past yr. Thanks for adding in Orly's Au Champagne - I also love it - I am sad it's not part of the regular collection but I have seen it on re-release 2 times now so maybe it will make it there eventually if Orly is watching how much this shade shows up in nail blogs - it's great on it's own and fab for nail art. I have nothing like it in my stash and my stash is HUGE (more than 1500 bottles - sounds crazy but I have been on this collection since the 90's with a few major and minor purges during that time - I even have some polishes that go back to the late 80's to pre OPI days and a couple from the first or maybe third collection OPI released. Just for fun of it, I am going to go through my database and put in a new column that has my picks for 2012 favs! I know China Glaze Riveting will be on there and a couple from Cult Nails as well as I got my hands on MF Fantasy Fire - but I have the old Clarins 230 - bought it retail when it came out and no one knew about it yet...but it's turned funky now)...I also love, love Baker Street but not yet added it to my stash which still amazes me! I could have sworn FF was from 2011? If not, it totally should have been on my list, lol. It's such a fun and stunning polish, and I'm lucky to have a "dealer," lol. Anyhoo, great list! 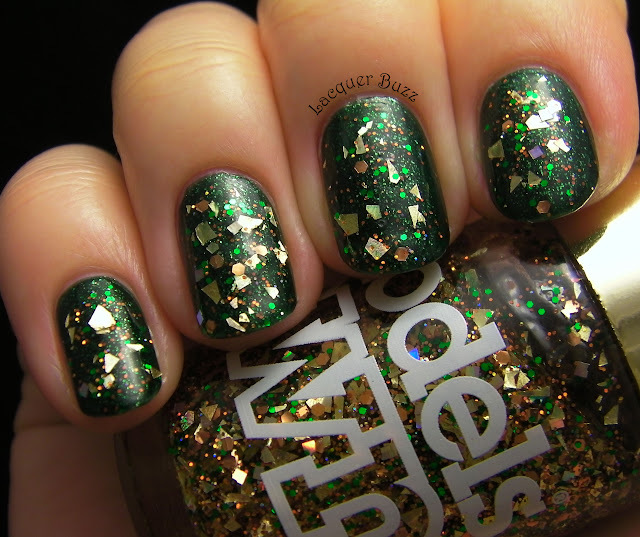 Mermaid's Tears looks really cool, and a-England Elaine looks beautiful on you. I'm glad! A belated Happy New Year to you too love! Wow, 1500! I can't even deal with keeping up with my 250. I'm sure Orly will make Au Champagne permanent, they must! That's so cool that you have Clarins 230. I'm really jealous! And Baker Street, well that one you must get! Thank you! Not all on this list were released this year, there are some older ones as well, but I'm pretty sure FF came out this spring. I remember my friend sending it to me very soon after it came out. I know we do! That's why I always like the polishes you get and post. Can't wait for you to announce the big winners for your "polishes of the year". And maybe show some favorites of your own?